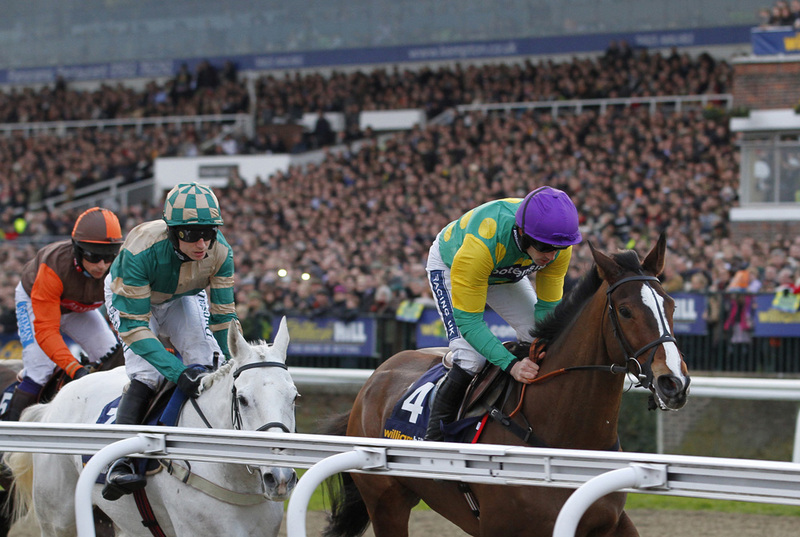 Kauto Star won the King George VI Chase five times, along with two Cheltenham Gold Cups. Kauto Star’s half-brother is amongst the 109 entries announced on Thursday for the £120,000 Neptune Investment Management Novices’ Hurdle at the Cheltenham Festival. Kauto Grand Mogol, a seven-year-old who has won three and placed three times in seven starts for Irish trainer Liz Doyle, at his most recent start powered to a 32 length victory in a novices’ hurdle at Thurles in late December. The emphatic victory was his second win from three starts this season that commenced with an eight length success on his hurdling debut at Limerick in November. The brace of victories were separated by a fourth place in a Grade 2 at Navan and Doyle is eyeing a race in Ireland next week for Kauto Grand Mogol, who has also been entered in the Albert Bartlett Novices’ Hurdle at Cheltenham. Doyle said: “Kauto Grand Mogol is very well. He will go to Clonmel for a Grade 3 on February 5 and then we will decide about Cheltenham. “I am hoping we can draw a line through his run at Navan because he never travelled or jumped and was beaten a long way out. “His performance in Thurles suggested Navan wasn’t his true running and, if that’s proved the case, he is definitely on the upgrade. “Clonmel is a stiff two mile six furlongs and it will be interesting to see what he can do back in Graded company. Entries were revealed for the three Grade 1 novices’ hurdles at The Festival which takes place from March 10-13. The first of the novice hurdles – the Sky Bet Supreme Novices’ Hurdle – is run on the first day of the meeting. It is followed by the Neptune Investment Management Novices’ Hurdle (March 11) and the Albert Bartlett Novices’ Hurdle (March 13).